A borrower has certain responsibilities to take care of, once a loan is negotiated. In order to keep your loan in good standing, it is important to fulfill all your obligations. A lapse in making a single payment indicates delinquency. You could get into the default record if you continue to ignore your loan repayments. If you face any trouble in arranging funds for paying back your student loan, you need to contact the organization that provided the loan. There are chances that you may qualify for forbearance, deferment or any other form of payment relief. 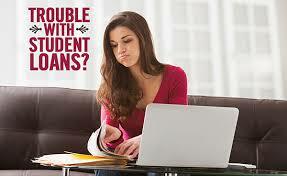 In most of the cases, student loans do not require repayment until after graduation. Many fresh graduates do not find a suitable placement very quickly. However, after graduation, there is a six months grace period before the repayment schedule begins. Even though a student may identify a good job, he could initially be underpaid, leading to issues with the repayment of the loan. – Graduated repayment: The payment is lower in the beginning and increases steadily over a period of time. – Standard repayment: Interest payments and principals are due each month, throughout the repayment term. – Income sensitive repayment: A percentage of the borrower’s monthly income forms the basis of calculating the monthly repayment, although this plan applies for certain account borrowers. – Extended repayment: This incorporates lower monthly payments for an extended period of 25 years. – Loan consolidation: You can consolidate several loans into one new loan, with a low interest rate and easy finance management opportunities. – Prepayment: This can reduce your total cost of borrowing because most private student loans allow you to make payment of a part or your entire loan before the scheduled payment. This can be done anytime during the life of the loan. – Your state might be offering programs that reduce or even cancel your loan if you perform certain services like, nursing or teaching. You can get in touch with the state agency for postsecondary education, to check if there are such programs available in your state. – There are religious and civic organizations that provide certain benefits and aid in repayment. – Your personal expenses may need to be analyzed and kept minimum. Try to keep your living expenses low initially. – It is possible to apply for forbearance, deferment or any other payment relief programs. Deferment: It is the temporary suspension of the loan payment if you re-enroll yourself in a school, are unemployed or facing any economic hardship. Forbearance: This is also a reduction or postponement of the loan payment, temporarily, while you are in any financial difficulty. Other forms: These may include graduate or income sensitive loans. If you are facing financial difficulty and it is impossible for you to repay the loan immediately, you can always take refuge in these options. They not only help you to repay your loan easily, but also help you maintain a good credit report.